Got a few more pictures of the Falchion class superheavy from Tom McBride aka Machinator - it's really starting to come together! Tom's work is exceeding my expectations in every way, and I have to say that while I enjoy doing scratch buit conversions, his skills with greenstuff, resin and plasticard put my talents to shame. I've quite enjoyed seeing it come together and I've been going over the pictures to learn some of his techniques. 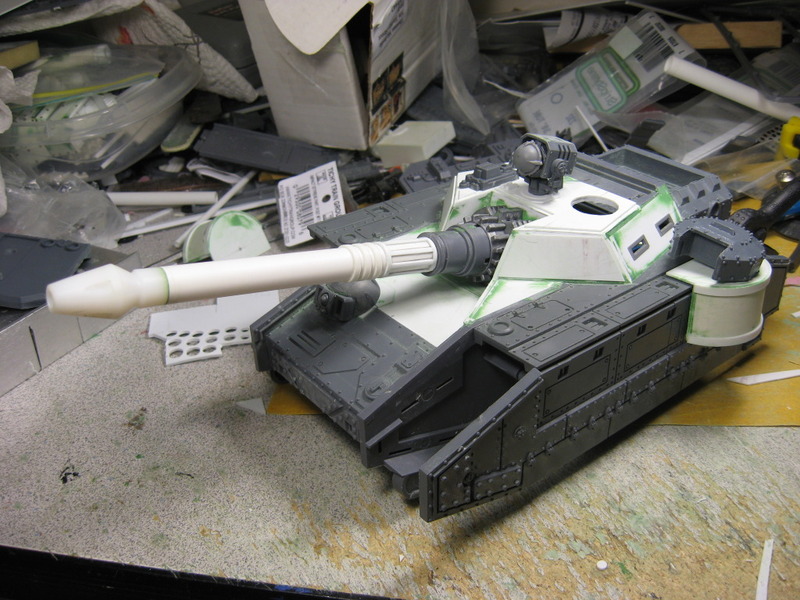 I think my Sabre Tank Hunter is going to be experiencing cannon envy! 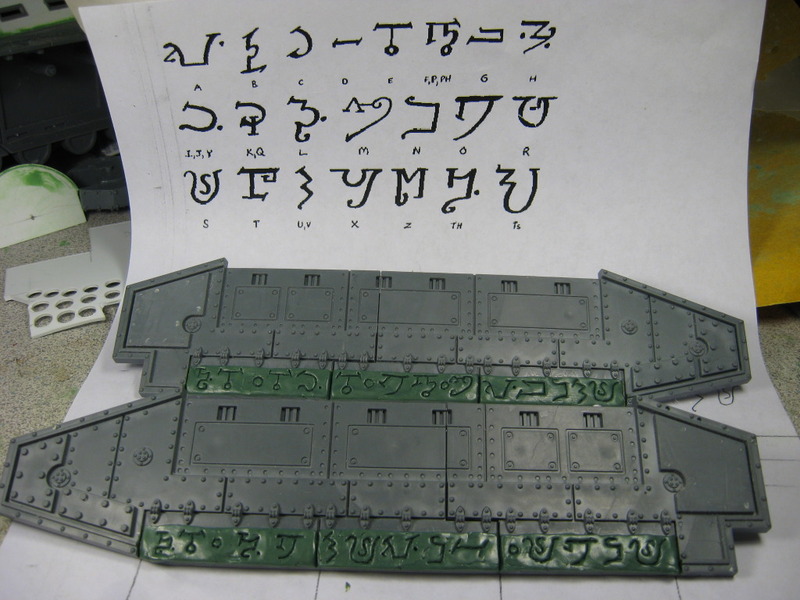 Tom has been adding some really nice touches to the tank such as the runic script along the side skirts. One side reads "The Eye Of Magnus" while the other reads "The Thousand Sons". It's little details like this that really give the vehicle personality. I'm really excited to see the finished build and get my hands on it to paint it up! Tom does a whole series of resin-cast upgrades for the Baneblade kits that are simply spectacular. 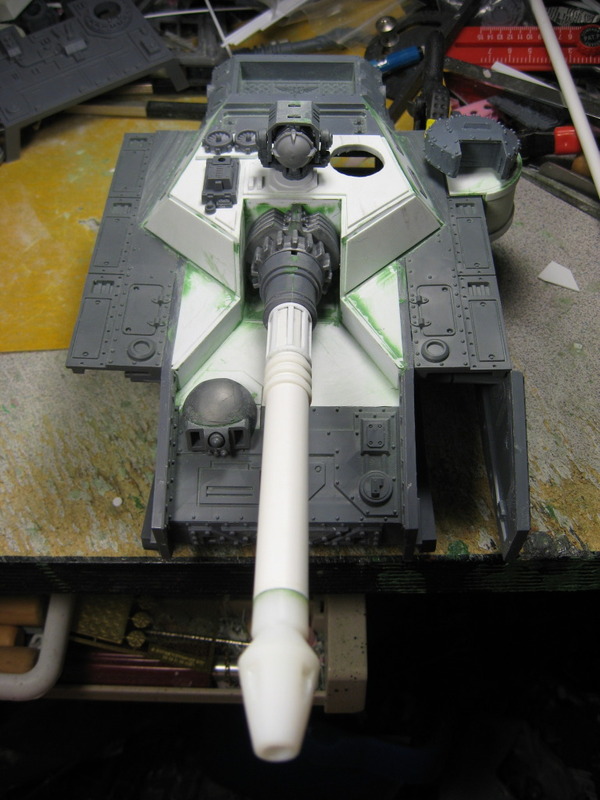 I heartily recommend taking a look through his eBay shop here for inspiration if you're interested in building your own custom super heavy tanks! He also takes commission work and I have to say he's been an absolute pleasure to do business with. Thanks Tom! e-bay store immediately added to favourites! Do you have any artwork images that we can look at for reference and comparison? Those two shots are from mid-heresy, the one Tom is making for me is nearer the beginning when the Thousand Sons were still ostensibly loyalist, so it'll be ornate, but not have the big daemon head on the muzzle of the Volcano cannon. Had to make some other minor tweaks to make it 'legal' in today's setting as well. Overall though, I'm thrilled with how it's coming along! Looking awesome, I love the greenstuff runes! Blood and skulls is awesome. 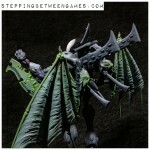 I plan to use them int he future for further Nurgle endeavoures. @LuckyNo.5 - Indeed, I've been really pleased with the quality and service I've gotten from Tom over the past year. He does amazing work!